Once, G‑Core Labs S.A. was a startup. So, we recognize the importance of having access to both a cost effective and high-quality delivery service, that will help businesses to grow faster. Therefore, we offer our newly improved, completely free CDN plan for indie developers, internet entrepreneurs, bloggers and to those who want to speed up delivery of available online content, to increase the amount of time users spend on a website and to improve conversion rates. What is included in the FREE G-CDN plan? Sign up on G-CDN page. Select FREE plan in control panel. 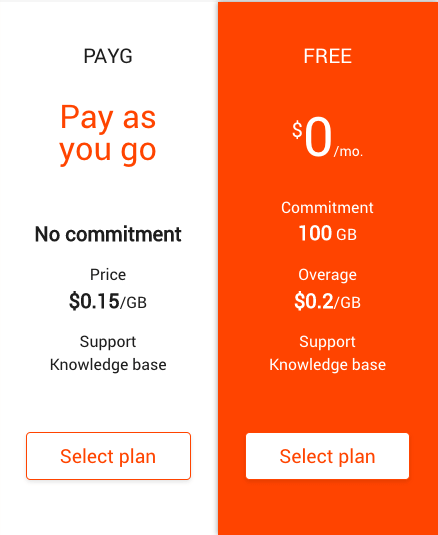 Get 300 GB for the trial period and 100 GB for free every month. To confirm that you are not a bot. To ensure the service continues to operate when the free traffic limit is exceeded. Try G-CDN content delivery network for free, grow faster, switch to advanced plans and options available to sign up for G‑Core Labs’ other services.